Do you love Chess ? If you love playing Chess game, you can see here a list of the best Chess games for your iPhone. Most of these apps are universal which can also be played on your iPad or other iOS devices but rest of them are only for iPhone. 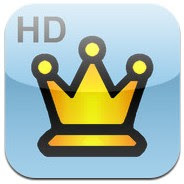 You can view here a list of the best iPhone chess games. You can find tons of useful chess games on the Appstore but here we’ve selected only few of those. Some of these are free and rest are paid chess game. If you want to be perfect in chess game, you can try all of these games on your iOS device. Here are some suggestions, check out these chess gaming app on your iPhone or iPad. 1. Chess Pro With Coach ( iPhone and iPad ) – Chess Pro is one of the best desktop chess games on the web which are also available on the App store for your iPhone and iPad users. Chess Pro is a beautifully designed easy to play chess app that comes with lots of features and game levels ( beginners & grandmasters ). Chess is a useful chess app that has attractive user interface, realistic sound effects, adjustable piece movement animation, auto saving your current game etc. 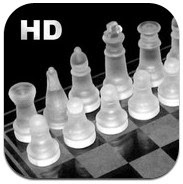 Nice chess app that has been integrated with lots of high resolution 2D and 3D chess sets. If you want to learn chess game online, this app would be the best chess training app for your iPhone & iPad. One of the best chess apps on the Appstore for iOS users. 2. Chess Genius ( iPhone and iPad )- Chess Genius is a useful chess playing app that has easy to play user interface with lots of gaming features. One of the best chess games that can be played on your iPad or iPhone. The app comes with some useful options such as- 33 chess playing levels, saving and loading games option to save in PNG formats, games sending option via email, tutor, chess playing option against Chess Genius etc. 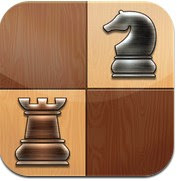 One of the best chess apps and it has very simple and elegant user interface for chess game lovers. 3. t Chess Pro ( iPhone & iPad ) – t Chess Pro is one of the best chess games for iPhone and iPad devices and it has beautiful and easy user interface. If you love chess, this app would be perfect option to play chess on your iPhone or iPad. t Chess Pro is a fully featured chess game that comes with lots of features such as – position editor, learn chess e-book , 1 or 2 players playing option, three game mode- beginners, experts & enthusiasts. t Chess Pro is designed for everybody who loves this game and this app has been integrated with an e-book app that can help beginners to learn chess easily. One of the best chess games for iPhone and iPad that let you play against any ELO rating from 500 to 2500. If you want to be a master of Chess game, this app would be the best Chess app for your iPhone and iPad. 4. Chess Free ( iPhone )– Chess Free is one of the best free chess games for iPhone users and it comes with beautiful graphics and great sound effects, score tracking option, different levels, auto save feature and undo function. You can install this app on your iPhone free of cost. If you want to install chess app on your iPhone free of cost, this app would be the best chess app for your iDevice. 5. Chess – Play & Learn ( iPhone & iPad ) – If you want to play chess on your iPhone & iPad free of cost, you may try this awesome chess app on your iOS device. This app lets you play chess with millions of players and helps you learn to play chess with lessons, videos, puzzles and more. Very useful app lets you join chess players community where you can make friends and send messages. One of the best chess apps on the Appstore for iOS users.